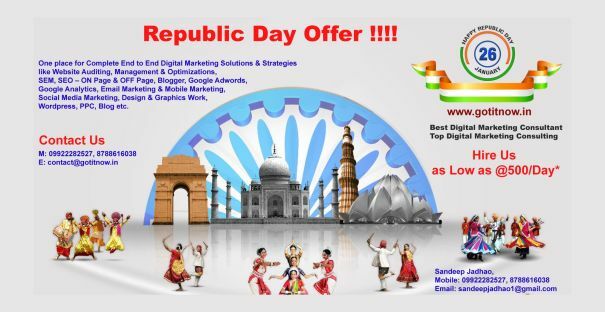 Amazing offer on “Digital Marketing Consultancy” Get up to 50% OFF. Free Website & SEO Audit, Free Initial Digital Marketing Consultant. One place for Complete End to End Digital Marketing Solutions & Strategies like Website Auditing, Management & Optimizations, SEM, SEO – ON Page & OFF Page, Blogger, Google Adwords, Google Analytics, Email Marketing & Mobile Marketing, Social Media Marketing, Design & Graphics Work, WordPress, PPC, Blog etc.